Growth, democracy and human rights in underprivileged communities calls for a local strengthening to create and ensure ongoing and viable improvements. The PDAid Foundation aims to improve local conditions for talented youth in disadvantaged communities through a structured and global support program. 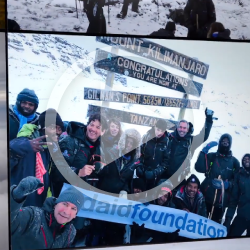 Support the PDAid Foundation in its efforts to develop burgeoning, young talent in disadvantaged communities through a structured, global support program, based on sponsorship, education and mentoring. 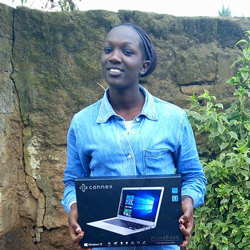 This summer, the young Kenyan woman, Sharon Wambui has entered the support program of PDAid Foundation. Through scholarships and mentorships, the PDAid Foundation will support the new mentee in becoming a positive agent of change within the local community.